The Business of Brew: How the Breweries in the Ever-Exploding Richmond Beer Scene Stack Up | Food and Drink | Style Weekly - Richmond, VA local news, arts, and events. Every good collection has a variety. Something old, something new, standards and classics, underground oddities and avant-garde treasures sure to impress even the snobbiest connoisseur. Over the years, the scene in Richmond and surrounding cities has cranked up the volume. It beckons suds lovers from around the world to the River City for satiation. Our collection of homegrown breweries is diverse, impressive and ever-growing. From expanding now-elders to hotshot newbies with flawless recipes, a few have risen to the upper echelon. Surprise! Everybody loves Hardywood. Thirsty adults, families, dogs and judges at festivals such as the World Beer Cup and Great American Beer Festival. And of course, BeerAdvocate magazine loves it — it gave its Gingerbread Stout a perfect freakin’ 100 rating. Founded in 2011 by best friends Eric McKay and Patrick Murtaugh, Hardywood was one of the first craft breweries to open in Richmond and has undergone rapid expansion. It’ll open a crazy-huge $28 million-dollar production facility in Goochland County sometime in 2018 that includes an amphitheater and garden. It also opened a pilot brewery and taproom in Charlottesville, and Gov. Terry McAuliffe announced its plans to distribute its beer in the United Kingdom. We’ll raise a pint to that. Beyond beer: There are other reasons we put Hardywood at the top of our list. Fueled by 100-percent renewable energy and sustainable practices such as an emphasis on local ingredients, re-purposed beer barrels for rainwater to use around the brewery and of course, its laserlike focus on recycling efforts. 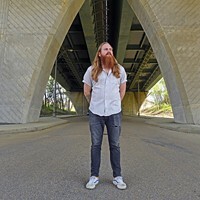 It also books cutting-edge local and touring bands regularly and the shows are usually free. hardywood.com. Hard to believe, but the Veil has been open just over a year. The ever-present crowds and weekly canned beer sellouts have become the norm, but that doesn’t deter the faithful who line up — and drive from out of town — in advance each Tuesday afternoon to get their hands on some seriously hop-forward ales. It’s by far the new, cool kid on the scene and already has been named one of the 34 best new breweries in the U.S. by BeerAdvocate, as well as one of the top 10 in the world by Ratebeer.com. Heck, the Veil even went viral with the release of its decadent Oreo Hornswoggler milk stout. Beyond beer: Stop by the brewery for its unforgettable, modern-gothic tasting room, complete with taxidermy and cushy chairs for those who want to relax — and no blaring televisions or thunking corn-hole bags in sight. 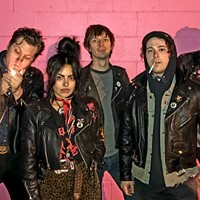 The Veil’s Forever Summer Festival, a ticketed event, features hard-to-find beers, grub, vendors and revelry with 100 percent of the proceeds going to ChildSavers. theveilbrewing.com. No. 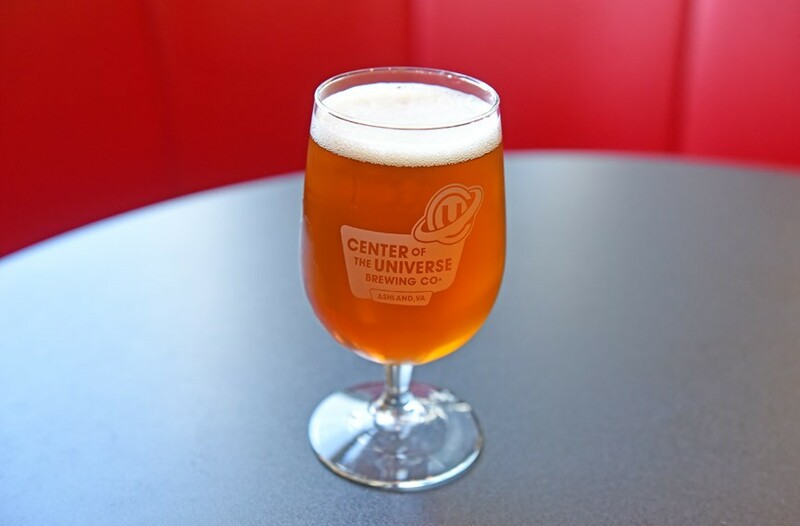 3: Center of the Universe Brewing Co.
Brothers Chris and Phil Ray put charming little Ashland on the beer map in 2012 with super-accessible brews for the non-fussy beer lover in an ever-welcoming tasting room. The result was a brewery that’s as close to the neighborhood pub as you’ll get. The Rays recently opened a research and development brewery, Origin Beer Lab, in downtown Ashland. “We’re testing recipes, experimenting with sours and collaborating with all kinds of folks from the Randolph-Macon microbiology department to Lewis Ginter Botanical Garden,” Chris says. At this year’s Virginia Craft Brewer’s Cup, the brewery snagged a silver medal for its Chic Saison. Beyond beer: We go to the Hanover County spot for its chill vibe with pinball, small-town feel and live music. This August, the brewery will host the inaugural Circle the Wagons BBQ Cook-off and Roundup. The benefit concert for Circles Ashland will be all the fun, complete with two beer releases, six barbecue companies and some special guest judges. In other exciting news, the brewery just teamed up with Kings Dominion to launch Kings Brew, a session India pale ale available exclusively at the theme park. cotubrewing.com. This little freak, born in 2012, just became a two-headed beast with a Fredericksburg expansion. There’s an arcade, private lounge, 80-foot U-shaped bar and 6-foot fireplaces on 3 1/2 acres. Dang! Much like its sibling, indoor and outdoor seating is plentiful, and food trucks, music and shenanigans are ever-present. From day one, owner Neil Burton set his world apart from any other brewery in Richmond with über-weird vibes and plentiful, curious libations. 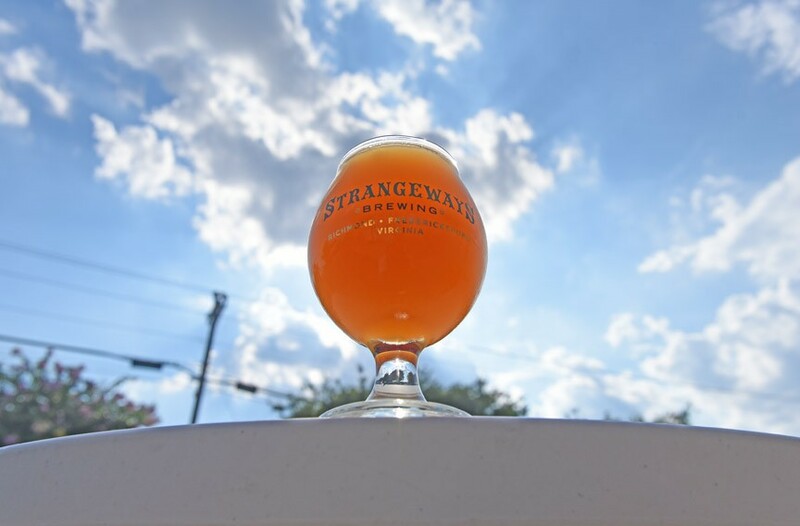 Strangeways always has more than 36 beers on tap in the city and 96 taps up the road. 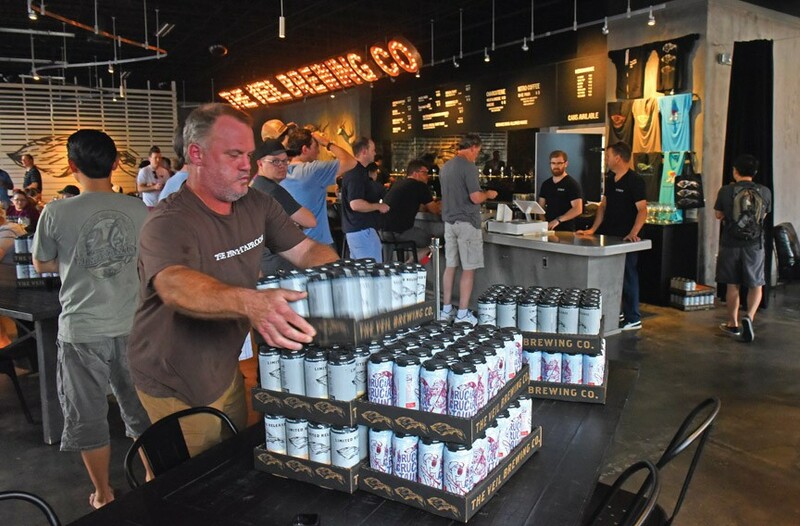 The Richmond tasting room and brews have gotten shout-outs from RateBeer and Southern Living over the years — something that’s not likely to end anytime soon with the growth of the Fredericksburg progeny. Beyond beer: Who doesn’t like an amazing, odd tasting room named best brewery tap room in Virginia by Ratebeer.com two years in a row? Killer events such as Yappy Hour for your furry friend, hip-hop bingo, burlesque and drag shows — many of which benefit local charities — keep the vibe going. strangewaysbrewing.com. 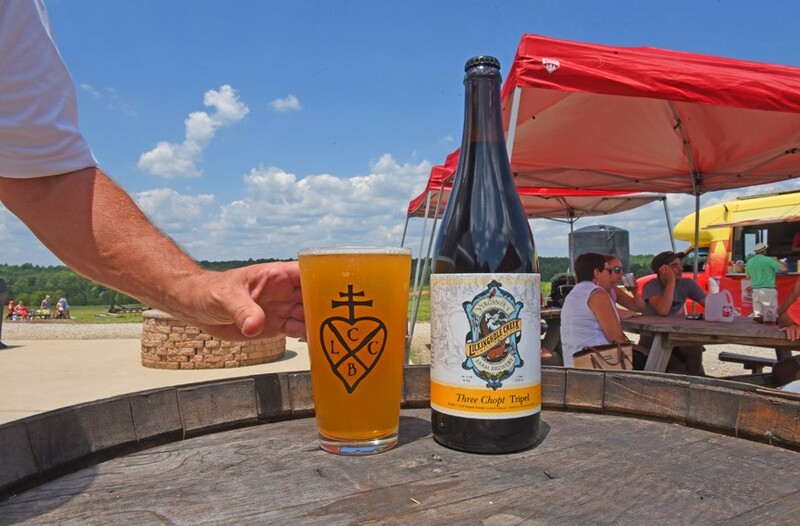 In 2013, Lickinghole introduced beer lovers to the farm brewery concept with nearly 300 acres in Goochland where hops, barley, herbs and spices are grown for brewing. Maybe making a move up the ranking next year, Lickinghole is about to deliver the equivalent of twins: a major expansion of its current digs into a 50,000-square-foot production brewery that will include the requisite event space, a state-of-the-art brewing system and a spacious new tasting room. And you can look for a spanking new $14 million satellite brewery in Lynchburg that will focus on both sour beer production and barrel-aged brews. Beyond beer: Lickinghole is a day in the countryside. 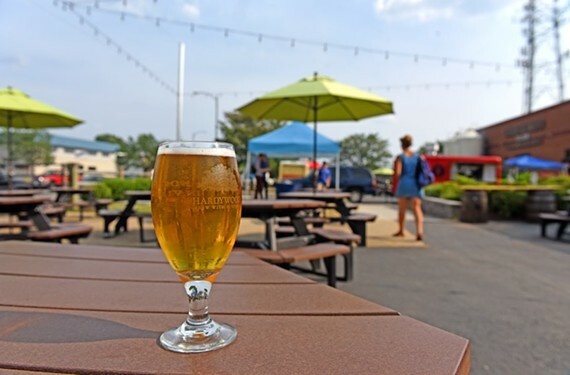 The family and dog-friendly brewery encourages noshing with food trucks and lures visitors with a playground, corn hole and a large, air-conditioned event tent. In addition to live music Fridays through Sundays, popular annual events such as a pirate party and a pig picking entice beer lovers to stay to past sunset. Perhaps most charming, the brewery also reminds visitors what’s growing in its fields besides hops and barley during its sunflower-picking weekends in the summer. lickingholecreek.com. Owner An Bui is synonymous with good beer and mouth-watering Vietnamese eats, whether it’s at Mekong or his newer baby, the Answer. 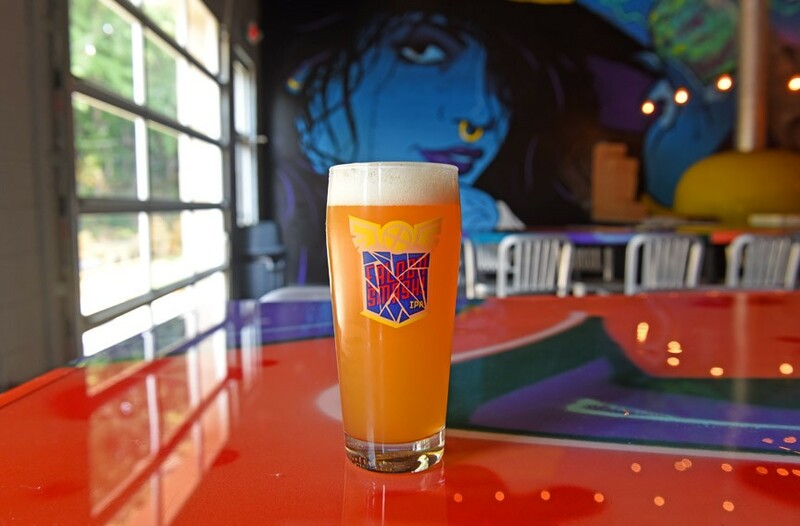 The latter just celebrated its second anniversary in May and continues to please the thirsty masses with Brandon Tolbert’s expertly crafted, award-winning brews — mostly a bounty of superfresh, gloriously hazy IPAs. If hoppy isn’t your thing, you can surely find something in one of its 56 taps that feature plenty of styles from a plethora of breweries. Hang at one of two bars, play some oversized Jenga or the video games that jam the spacious facility, and take home a crowler to enjoy a glass of right-off-the-tank hopped perfection later. Beyond beer: All hail the Andall, a contraption that runs the beer through things as varied as coffee, coconut , chocolate and even more hops. The possible flavor combos are endless. 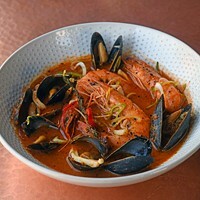 And Bui’s original spot, Mekong, Richmond’s legendary best craft beer bar, is right next door. Enjoy similar vibes at the place where it all started. Most of all, we go for the ever-present glory and cheer of owner, An Bui. When this guy steps into the room, you’re reminded of how brew brings us all together with good times. theanswerbrewpub.com. No. 7: Triple Crossing Brewing Co.
With expansion in its rearview mirror, Triple Crossing first established itself downtown in April 2014 and then jumped east with a second location this past spring. The recently opened 30,000-square-foot production plant and tasting room in historic Fulton boasts a brick oven for pizza-making and a generously sized patio with a view of the city skyline mere minutes from downtown. Co-owner Adam Worcester sees myriad benefits to the expansion. “This new location allows us to brew a larger quantity of beer, implement a mixed culture and sour beer program, and can beer for sale on site,” he says. Beyond beer: It’s the Fulton location that draws us east. The large outdoor area with a bocce ball court and outdoor seating with umbrellas for lingering. The indoor space is outfitted with a stage and play area for kids and, for gamers or those with a retro penchant, an arcade area in a barrel storage room. But then again, the tasting room on Foushee Street feels like a hidden gem. It’s smaller and more intimate with communal tables, a taco bar — plus ice cream sandwiches — and an outdoor patio. There it throws vinyl listening sessions of classic albums with Vinyl Me, Please. triplecrossingbeer.com. 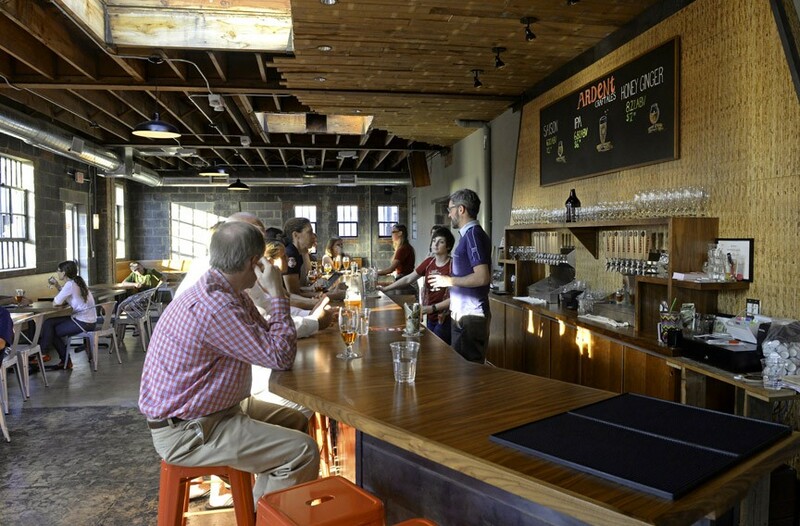 Ardent began as a Church Hill garage-brewing cooperative in 2010, and by 2013, it had established its brewing operation and taproom in a 1940s warehouse in Scott’s Addition. In March, the Ardent team purchased the 25,000 square-foot-property from local developer Scott Coleman. The goal is brewery expansion, the better to support wider distribution expected to begin in late 2017. Beyond beer: Retracting garage doors, a rotating lineup of food trucks and a wide-open patio make for an appealing beer garden space that’s dog- and kid-friendly. 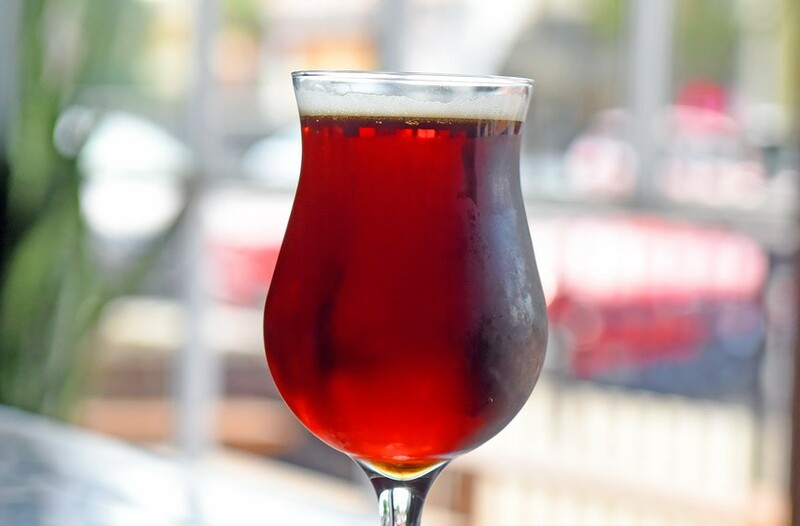 Regular events such as small batch Fridays and beer dinners frame large-scale events such as blowout anniversary block parties, residents’ appreciation nights and the upcoming speak-easy night for Virginia Pride that will feature beer, drag and burlesque. ardentcraftales.com. No. 9: Isley Brewing Co.
Michael Isley already had a job as owner of the oldest mechanical company in Richmond, but that didn’t stop him from starting Isley Brewing Co. as an investment in October 2013. When it quickly turned into a passion, he hired master brewer Josh Stamps. “My plan has always been to stay craft,” he says, “and allow Josh to think outside the box to make high quality beer with complexity and flavor.” Coming up on his fourth year in Scotts Addition, Isley has begun construction on a second location in Virginia Beach slated to open mid-winter. 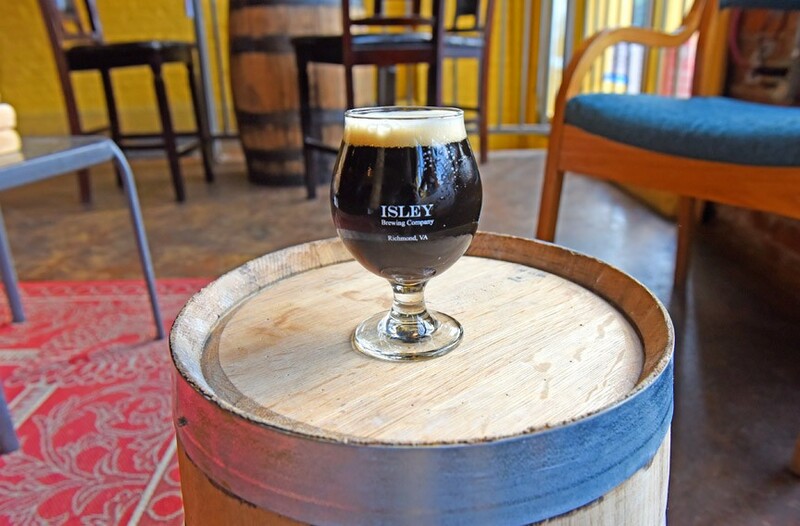 Beyond beer: “My intention with our tasting room was to make it have that cozy coffeehouse feel, from the fireplace to the leather sofas — and not be a bar,” Isley says. 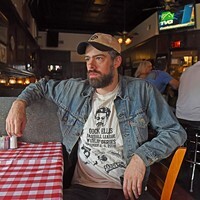 He keeps things happening with live music every Saturday, trivia Tuesdays, open-mic Wednesdays and, once a month, an all-day music event with food trucks. 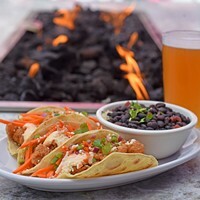 Weather permitting, Isley’s urban patio — a deck on the back of the brew house and the large adjacent parking lot behind the building — features picnic tables with umbrellas that allow the music and entertainment to move outside. isleybrewingcompany.com. No. 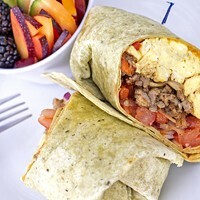 10: Garden Grove Brewing Co. When Ryan Mitchell and Michael Brandt opened Garden Grove in the heart of Carytown on Valentine’s Day 2015, their goal was to bring a Belgian and English-style brewery to the city. Brew master Brandt began in the beer industry, moved on to winemaking and returned to brewing, a path that’s resulted in the fermentation or aging of beer in wine barrels. Just this past March, Garden Grove became a licensed farm winery with vineyards at Arterra Winery in Delaplane. Already, it has a couple of honey wines on tap and come October, Garden Grove’s wine will be available right beside the beer taps by the glass or bottle at the Carytown space. Beyond beer: Garden Grove throws a monthly beer dinner with five courses and five beers as serious as any wine dinner for 70 lucky beer fans. Top chefs from the Roosevelt, Dutch & Co., Saison and Heritage have lent their pairing skills to the events, which always sell out. gardengrovebrewing.com. 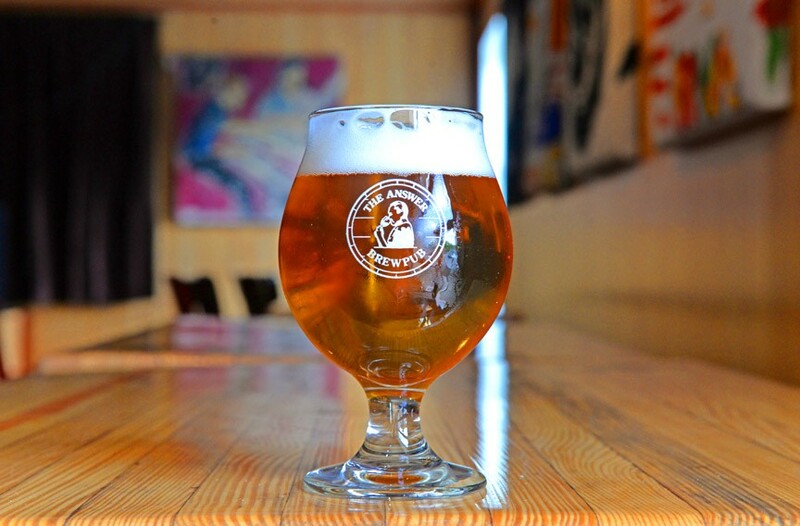 If you don’t already know Steam Bell Beer Works in Midlothian, you soon will. The family-owned operation got its start in 2014 after home brewer Brad Cooper was laid off. Not content to cater to a single neighborhood, Steam Bell is expanding to the Fan in early October with a new brewery, Canon & Draw Brewing Co., on West Main Street next to J.M. Stock Provisions. 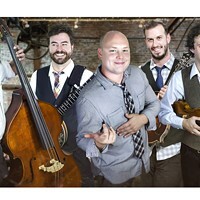 Beyond beer: If you’re lucky enough to live in Midlothian, you can check out Steam Bell’s live music every Friday, Saturday and Sunday — notable because this neighborhood isn’t necessarily thought of as a hotbed of band activity. The past year saw the brewery’s first day-long blues festival, which pulled groups from Florida, Mississippi and Charlottesville. And it gives back. 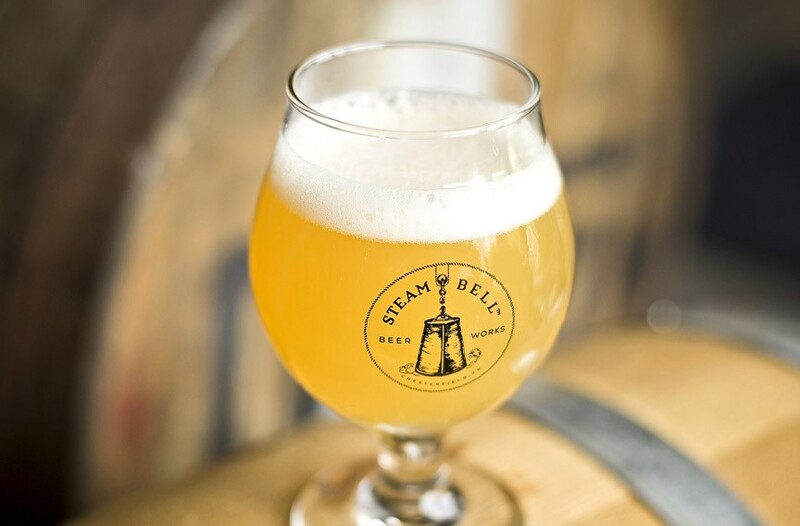 Steam Bell donates a portion of the profits from all sales of their Alliance Ale to Virginia Commonwealth University’s Massey Cancer Center year-round. steambell.beer.